The previous week, the Hong Kong IF team had the chance to visit Art Basel 2017, with the aim to source inspiration for product design, retail design, and branding. Here are some of our inital thoughts, enjoy! What struck me as interesting, was to observe which exhibits drew in more onlookers than others. With art, there is increased focus on the essence and abstract nature of the piece, which allows the artist to be more inventive with their medium and method of storytelling. In a way, the same sense of storytelling is often lost in retail design, reduced to cardboard cut-outs and product display. I found that many of the pieces had good engagement where they were interactive and part of the space itself (either by structure or by suspension). Attention to use of light and colour is also emphasised to draw out different emotions and reactions, such as the ethereal feeling of suspended acrylic or the forboding and claustrophobic effect of the bamboo structure (above). In relation to retail design, it would beneficial to review the emotional effect of a space and its materials with the consumer. Even the act of passing through a "barrier" or to hear an unexpected series of sounds may seem like an unnecessary small detail but can be crucial to completing a fully immersive and enjoyable transitory experience. The use of texture and its draw on onlookers is another interesting take away from Art Basel. In my opinion, it's not used enough in current retail design despite the curiosity it inspires in people. 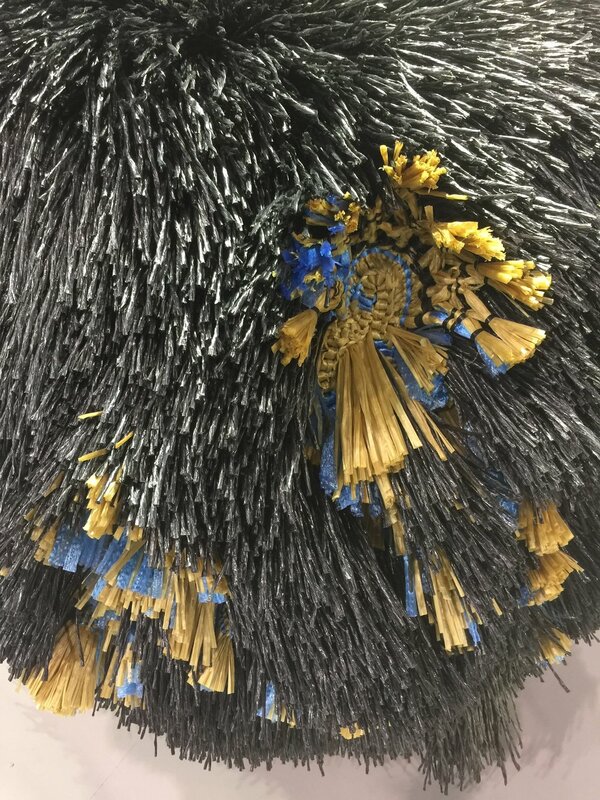 Textural displays are often intriguing as they allow people to explore (where possible) both visually and tangibly, a combination that is limited usually to the product in retail display. It brings to mind an observation made previously that people will often pick up products in the store, and may even tap on it to "hear" its sound. In Art Basel, the case may be to create a desire to touch a piece of artwork (although it is obviously forbidden), despite not knowing anything about the art itself. I believe this combination of sensory feedback is important in the creation of positive experience design and should be explored further. Food and cooking, in particular, is a medium that allows for visual, auditory, and tangible feedback in infinite varieties: the squelch of a tomato, the crunch of lettuce, and the clunk of a cleaver. Experiences and feelings are much more memorable than facts and a fact-based sales pitch, and should play a larger role in the future of retail design.